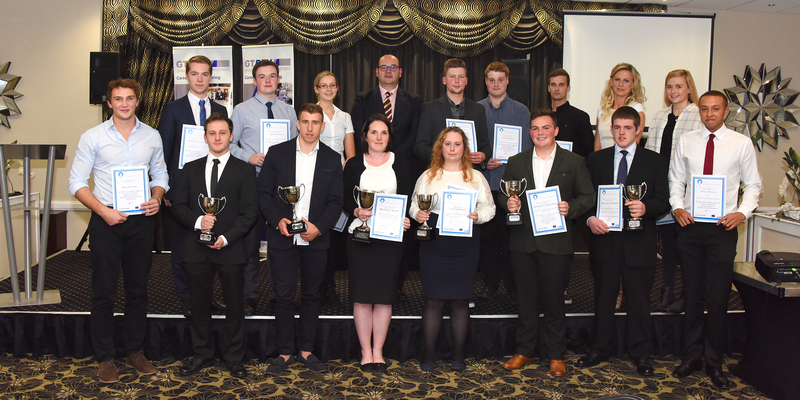 Congratulations to all of our engineering apprentices who have been honoured at an awards evening held in Barnstaple in October 2016. Our learners, their employers and families made up more than 80 guests celebrating their success as they complete their Engineering Apprenticeships and NVQ Qualifications. Each apprentice received their completion certificate from our guest speaker Mr Jeremy Beer, Managing Director of Anglo Krempel in Bideford. The Annual Awards Evening is sponsored by a number of local businesses who, along with the board of GTD, recognise the importance of celebrating the success of all our apprentices. Our member companies operate in an area which has a surprisingly large and successful manufacturing sector which relies upon a skilled labour pool. Our apprentices are learning and developing the vital skills they need to gain rewarding careers, which in turn will help the local economy continue to thrive. Awards, based on individual achievement and progress, were also presented to existing apprentices who have excelled in the current year. Mr Jeremy Beer presented each of the winners with a trophy. The Annual Special Recognition Award was presented to Rebecca Scott of Electronic Test and Calibration Limited based in Bideford. Rebecca completed an apprenticeship in Electronic Engineering and, during her apprenticeship, Rebecca was consistent and diligent in her work and studies winning a year prize on two occasions – in both her first and fourth year of study. Rebecca was presented with a trophy by Harry Dower, Operations Manager of GTD. Harry commented that he had had the pleasure of supporting Rebecca throughout her apprenticeship and that she is an excellent example of someone who has worked hard and with total dedication and has seen her career progress through to a senior management position. A big thank you to all who helped organise this special event and congratulations to all our apprentices and prize winners.